It's time to get comfortable talking about money. For most people, it's not easy to talk about money. We tend to avoid sharing information about our salary or mortgage payments with our friends. When we first started out in the workforce, the thought of asking an employer for a raise was terrifying. And we've always been told to avoid the money question in the initial stages of the interview process. But when you're an entrepreneur, you have to get comfortable having this conversation. After all, if you're like me, the ultimate goal of your business is to drive revenue. Sure, I also appreciate the freedom to build my own schedule, to choose my own clients. I love the ability to get away to find my way, and work from anywhere in the world. But at the end of the day, in order to continue to build my business and do the work I love, I need to drive sales and bring in an income that supports my lifestyle. Don't underestimate your value. Too many entrepreneurs start off with bargain bin pricing that makes it impossible for them to build a sustainable business. The first step to asking for what you deserve is truly believing in the products and services you offer. This is how you build the confidence to ask for what you're worth. Come prepared. When you're meeting with a prospective client, prepare your fees ahead of time. Remind yourself why your rates are what they are, and practice having this conversation with yourself, or with a friend, ahead of time. Say it out loud, even if it's in front of a mirror. Be selective. 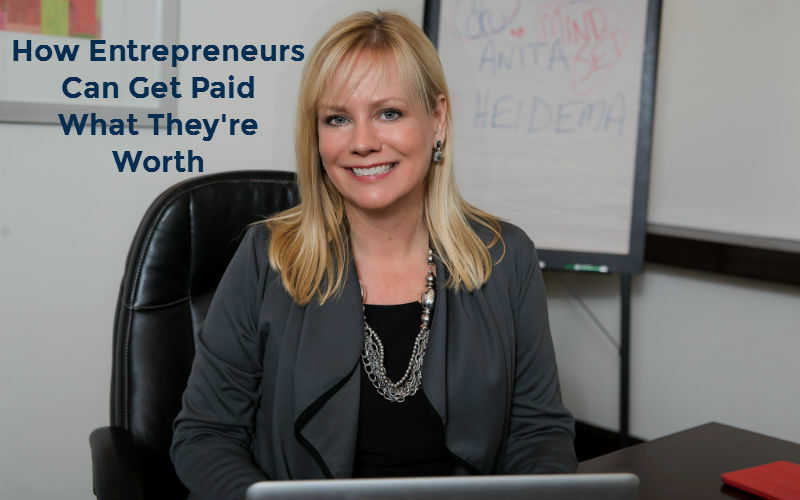 When you're first starting out in a new business venture, you may be in a position where you feel like you have to take whatever you can get to pay the bills. But as you continue to build your business (and your skill sets), narrow in on your ideal client. Don't be afraid to walk away from a situation where a client cannot afford you. (Just be sure to do so in a way that will make them want to give you a call when their budget changes). Remember, your vibe attracts your tribe. If you're not willing to ask for it, then how do you expect clients to give it to you? If you're looking to attract more abundance in your life and business (whether in regards to money, relationships, or business success). As always, I'd love to hear what you think. Do you struggle to ask for what your worth? What are your tips for navigating these difficult conversations as an entrepreneur? Share your thoughts in the comments below, or reach out to me on social media.